28 Nov Check out our quilt so far! We spent all of yesterday at the Bluecoat Gallery, Liverpool, stitching away and inviting visitors and passers-by to sit down, do some stitching of their own and talk about the cause with us. Project catch-up after the jump. Date: Saturday 4th December 2pm-5pm. ?Venue: Fine Cell Works HQ, London Bring: Scissors if you have any. RSVP here as there are limited spaces. 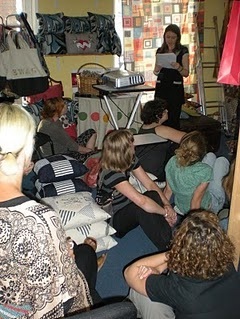 Facebook event here After an inspiring presentation Fine Cell Work did for our craftivists in our August 2010 monthly meeting in their office surrounded by beautiful cushions we all felt we wanted to do more to support this incredible crafy charity. 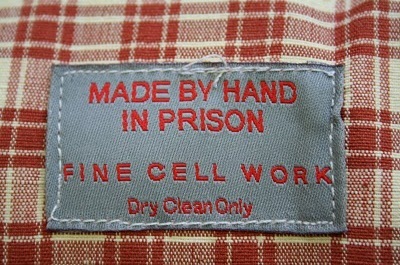 We have arranged a session at Fine Cell Work HQ where 20 Craftivists will have the chance to put kits together for prisoners to use during Christmas. Our own Bed-In on global and local inequality issues with West Everton residents in the UK. See separate blog here for more info and to see some of the patches look here The West Everton Community Council (WECC) and One World Week alongside The Craftivist Collective is taking part in the Liverpool Bluecoat Bed-In to celebrate John Lennon’s 70th birthday. The Bluecoat event takes part from October 6 – December 9, 2010: our Bed-In is on December 1, 2010. 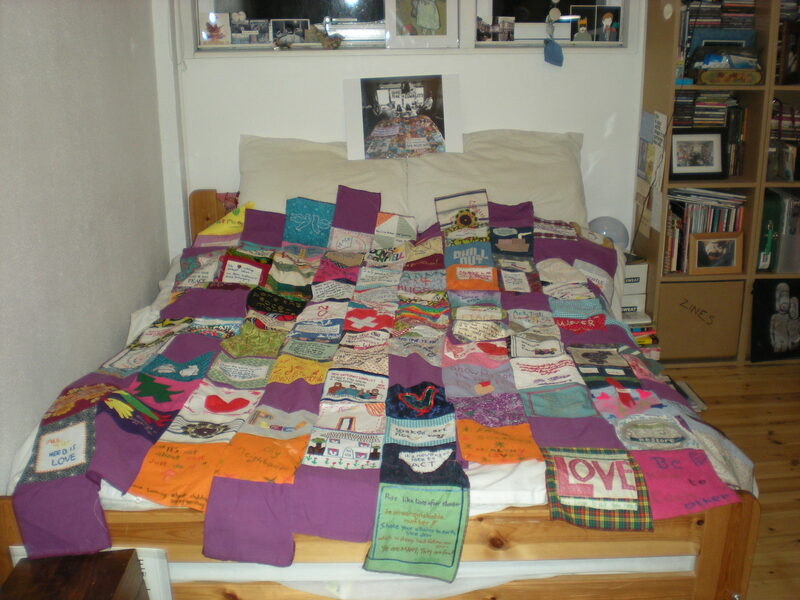 During our Bed-In we want to raise awareness of global issues in our own community and amongst the people of Merseyside. We may represent a specific community but we come with our global concerns to a bed in the Bluecoat. We want to raise awareness of national and international inequality and demand change – we want to see an end to the social chasm between those who have and those who need. 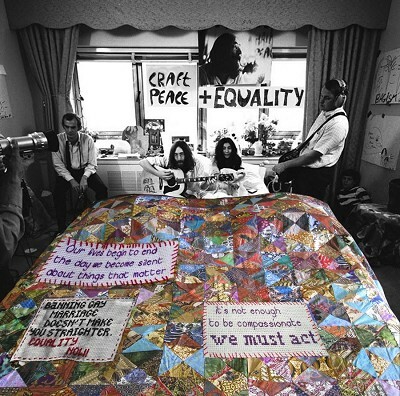 Ours is a peaceful protest that wishes to engage all people in crafty action: Craftivism! We will make lovely stuff and change the world by stealth and beauty. Full project details after the jump. 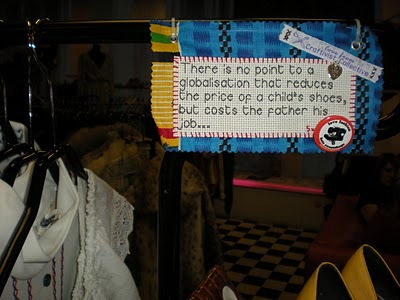 To mark the start of London Fashion Week 2010, activist group The Craftivist Collective has created homemade Mini Protest Banners aimed at exposing the ugly side of fashion. 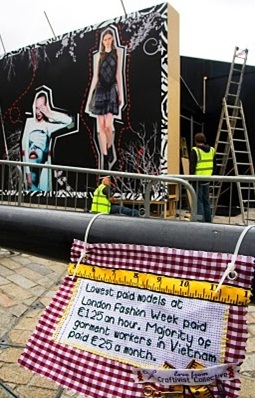 Using Mini Protest Banners, they hope to make people think about the side of the fashion that is often too easily dismissed by the industry in a non-threatening but challenging way during the fashionista's calendar annual highlight. An event on Buckingham Palace Road last Thursday was an affirmation once again to me of the value of craft in our society and its power to create social change, well being and self usa online pharmacy without prescription worth.